What a pair of golf shorts the Royal and Awesome Back to the Fuchsia golf shorts are. 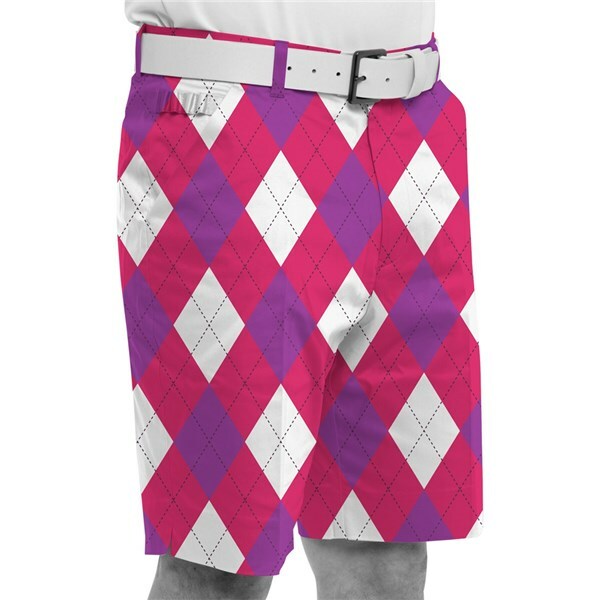 Made specifically for golfers who have no shame and do not mind bringing a little colour to the golf course the Royal and Awesome Back to the Fuchsia golf shorts look great when teamed with a matching polo shirt. A combination of cotton and spandex creates a fabric that will help keep you cool and dry by allowing better moisture management as well as increasing comfort because of the natural stretch in the short fabric. 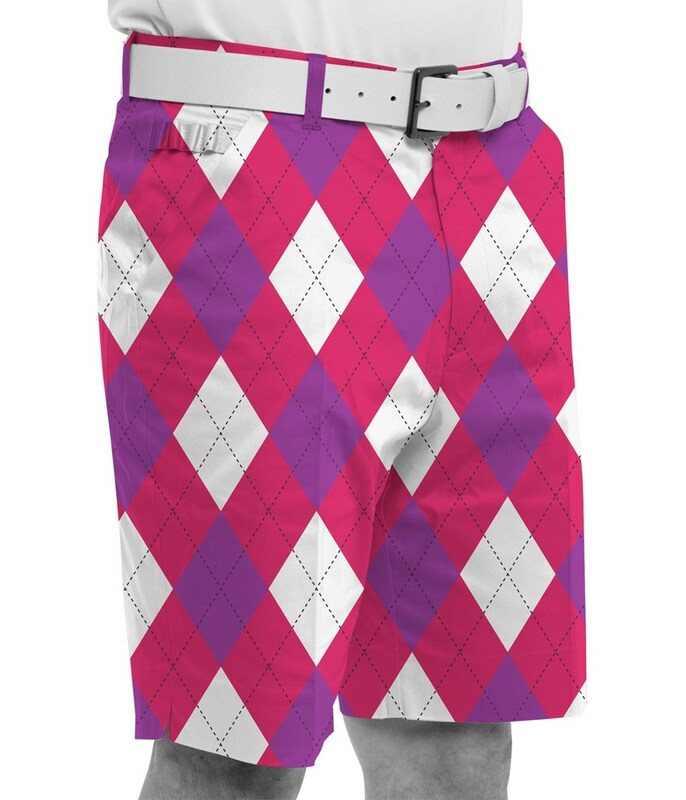 The Royal and Awesome Back to the Fuchsia golf shorts feature four pockets to hold all your golfing essentials and they also come with a free bottle opener and golf tool so that you can open those bottles on the course and also repair pitch marks.